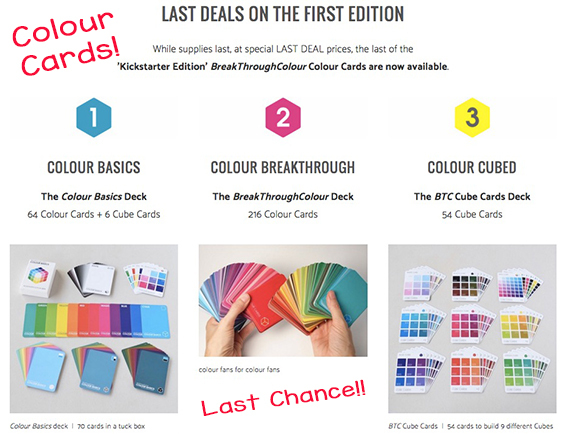 If you missed the Kickstarter, here’s your chance to get the first edition of the BreakThrough Color Cards designed by Tracy Holmes. Hurry! After today the remaining sets from the Kickstarter Edition will go up for sale to the public. 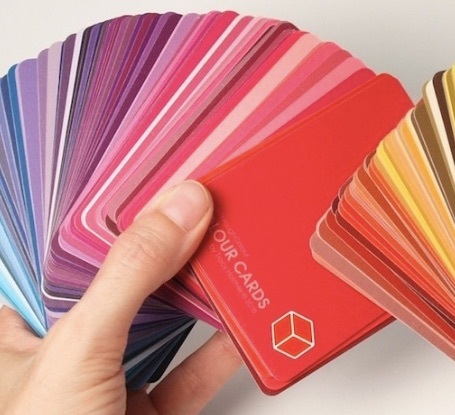 Get the Basics Deck if you like color games, the Cube Cards if you like making puzzles and models, and the full set if you are a certified Color Geek! Fun!